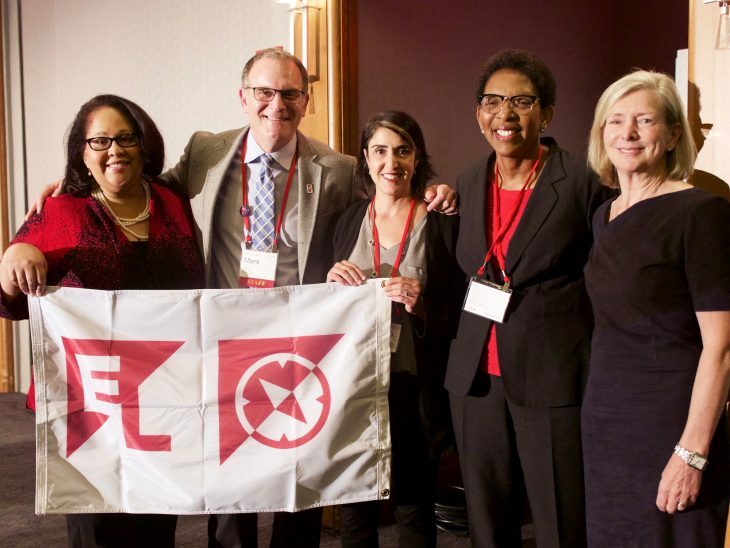 NEW YORK — EL Education (formerly Expeditionary Learning) today recognized five schools across the country with a national credential for exceeding the EL Education standards of student achievement, which measure three dimensions: academic performance, high-quality work, and positive character. The majority of students at each of the newly credentialed schools outperformed their peers in their state and demonstrated they are developing positive character traits, such as perseverance, empathy and a sense of service to others. These schools join 23 others across the country to receive this recognition from EL Education, which is now in its third year of credentialing schools. EL Education is a nonprofit that helps create great public schools where they are needed most, through a nationwide network of schools, coaching and professional development for educators as well as hundreds of free resources., including its highly-rated literacy curriculum. Under the EL Education model, students are challenged to solve real-world problems that impact their communities, empowering them to become active contributors to building a better world. On Georgia’s Career Ready Performance Index, which measures both academic achievement and growth, Oakhurst Elementary School has been among the top five schools in the state since 2013. After scoring below the state average in both English Language Arts and math in 2011, students at Arbor-Vitae Woodruff School have shown dramatic improvement and now outperform their peers across the state by 9 percentage points in both subjects. Since 2011, Leaders High School’s graduation rate for all students has increased 55 percent. Currently Leaders’ graduation rate for all students is 94 percent, which is 15 percent higher than the statewide average. Additionally, in 2016, 96 percent of students in poverty graduated in four years compared to only 71 percent of those students across the state. Over the past four years, students at the REALMS School have outperformed their peers across the state by an average of 20 percentage points in English Language Arts and 12 percentage points in math. Students in poverty outperformed their peers across the state by an average of 25 percentage points in English Language Arts and 15 percentage points in math. During that same time, disciplinary referrals have dropped by 26 percent at the school. At William Smith High School, 68 percent of students graduate with either nationally recognized career technical certifications and/or associate degrees. In order to earn the EL Education credential, teachers and leaders at each of the five schools participated in a rigorous process that included a close analyses of student work and data to identify trends and patterns, as well as set goals for improvement. Over time, they created an archive of evidence showing significant improvement in student work and character, as well as teacher effectiveness, earning them the EL Education credential. Credentialed schools are required to outperform state averages on national assessments or grow in proficiency at least two times the rate of state growth. The schools also must demonstrate growth in the character of their students, which could range from effective community service projects to decreased disciplinary incidents.